Sentiments/Non-Humans: As a non-human himself, he tries to withhold judgement based upon purely biological traits and appearances. The old pre-Rifts saying, "Never judge a book by it's cover" applies. Sentiments/Coalition: The Coalition States are what happens when zealous bigots poison their society with fear and hatred. Disposition: Open and tolerant (except of intolerance), inquisitive, compassionate, kind, calm, rational, thoughtful, patient - tends to take the long, strategic view. Description: Tall, statuesque, and well-built, Salomón looks like a chiseled Assyrian/Babylonian god with no hair, made out of shiny bronze sculpted marble. Most Amaki Stone-Men males have a protrusion jutting out from their chin resembling a beard, but notably, Salomón is an exception. Rapid healing; heals damage five times as fast as humans. One with the body: Fatigues at half normal rate, can hold breath for 3 minutes, has good balance (+5%) and coordination. Can run at half speed (see Speed attribute notes - just over a 7 minute mile at half speed) for 23 miles (37 km) without fatigue. At maximum speed, can do so for 7.6 miles (12.2 km) before fatigue! One with the mind: Spells, psionic attacks, drugs and diseases that cause confusion, dizziness or dull the senses are 1/2 as effective (reduce penalties and duration by half). + 1 vs Mind Control @ 2, 4, 6, 8, 12, 14. +1 to save vs Horror Factor at every odd level through 15, starting at level 1. One with magic: The Magus has a comprehensive understanding of the principles of magic and is especially well versed in ritual magic and power spells. May also draw additional P.P.E. from ley lines, nexus points, people and blood sacrifices as Ley Line Walker (20 P.P.E. per melee round at a Ley Line, 40 at a Nexus Point). Impervious to possession! Pilot Automaton: Only High Magi may pilot Colossus. Seldom pilots other Automatons. Link with Lords of Magic: The High Magus has a mysterious connection to the Lords of Magic. It is through this link that they can animate and empower the Automatons. They can draw upon the P.P.E. of the three Lords of Magic to create permanent magic weapons via Enchant Weapons spell and at half the normal P.P.E. cost. The link also alerts the Lords of Magic when a High Magus is killed. They know instantly, and, if within 200 miles, they have a general idea of where and whether the Magus suffered (but not how or by whom). Automaton Creation and Bonding Rituals: EXCLUSIVE to the High Magus. The secrets of creating Automatons and the bonding rituals which give Controllers their unique union with these constructs are known only to the High Magi. Recovers P.P.E. at a rate of 10 P.P.E. per hour of rest or sleep; 15 P.P.E. per hour through meditation. tom asunder. There is only a 30% chance the Astral Self can locate its physical body without the silver umbilical cord (roll best 2 out of 3). walk, move or think; completely catatonic. The hazards are threefold. First, if the physical body is killed, the Astral Body is forever lost and will die, fade away, within six hours. and creatures of the Astral Plane. Empathy, etc . ; Astral travelers communicate using Telepathy. combined . This means if the character has 18 Hit Points and 28 S.D.C. both the Astral Body and its silver cord have 92 Astral S.D.C. each (18+28 = 46x2 = 92 each). Remember, magic and psychic influence have full effect on the Astral Body. This includes exorcism, which will force the Astral Traveler to leave the immediate area (400 foot radius) and not return for 24 hours. The Astral Traveler has the same number of attacks per melee, bonuses, hand to hand, skills, knowledge and psychic powers that he or she has in the Material Plane. the Astral Traveler can travel from one end of our planet to the other, in the blink of an eye, by hopping through the Astral Plane. certain" to successfully return. The player may keep trying until he succeeds or time elapses. 01% - 30 % : Hopelessly Lost (roll again). 31% - 50% : Uncertain, Confused (roll again). 51% - 76% : Fairly certain of location; on the right track (roll again). 77% - 00% : Definitely certain of location. (Whew! Made it Back). Astral travel with a partner is a much safer way to travel, because if one can find his body, he can lead the other one out with him. well as physical assault by Astral Entities. of tiny Astral "Kingdoms" adrift within the vast whiteness. Exactly what these kingdoms look like is up to the entity that creates it. Beings can create and maintain them. Duration : 10 minutes per level of experience. I.S.P. : 4 (per each duration period). Range: Touch or one foot (0.3 m) per level of experience. Limitations: Applicable only to active (open) dimensional portals and devices that can create a dimensional portal. • Destination is relatively dangerous/hostile or safe to the psychic. This includes whether or not the environment can support human life. hasn't been used by any living force). Dreamstream, or to another location on Rifts Earth. science, the psychic will get a basic idea of how to operate it in order to open or close a dimensional portal (similar to Object Read). Duration: 2D6+6 second flash of insight or vision of current events. this power gets no impression from being viewed remotely and has no idea why he is being watched or by whom. enough of an impression to recognize it if he sees it personally. query. In either case, the psychic cannot look at the same person or place via Remote Viewing again for another 24 hours. Range: 140 feet (42.7m) area. Duration: 2 minutes (8 melees) per level of experience. This psi-power is a much more refined ability to feel the presence of evil. All supernatural creatures radiate their alignment, good or evil. evil force(s) the character must open himself and use the Sense Evil ability. source of supernatural evil, like a bloodhound, by sensing how close it is to him. has psychic powers or is psychotic . The former can mask his evil intentions with a Mind Block. Range: 90 feet (27.4 m). melee round of the attack from the source of the sensed danger. the consent of the psychic, whenever his life is in great peril or the life of somebody he greatly cares about (friend, partner, loved one, etc.). ambush. Instead, it works like an automatic reflex. If the character has used all his I.S.P. the Sixth Sense is temporarily rendered inoperative. Bonuses: The sudden flash of insight provides the following bonuses. Range: Read surface thoughts up to 60 feet (18.3m) away or two-way telepathic communication up to 140 feet (42 .7m) +40 feet (12.2m) per level of experience. Saving Throw: Conditional. When a character suspects he is being telepathically probed he can resist, getting the standard saving throw. Mind Blocks will completely prevent telepathic probes or communications as long as the block is up. by focusing on one person at a time. Simultaneous, multiple mind reading is impossible for the character. "Press the green button." However, two-way telepathic communication is not possible except between two characters both with telepathic abilities. The character remembers every word he reads. Specific blocks of written and visual information can be recalled in perfect detail at will. 01%-50%: Remembered in full detail, word for word. 51%-80%: Details are forgotten, but the full essence of the ideas are clear. 81%-00%: Can only recall the most basic concepts; no details nor strong comprehension. Note: Does apply to the spoken word, although psychics with this ability usually have very good memories. Last edited by Salomón on Fri Mar 01, 2019 6:41 am, edited 130 times in total. • Recharge Cost: 15 P.P.E. or 30 I.S.P. Bonuses: +2 to Parry, +2 to Damage. Last edited by Salomón on Fri Feb 15, 2019 9:51 am, edited 36 times in total. Salomón originally hails from South America, where he was born and spent his childhood. His father, an Amaki TechnoWizard and Shifter, had a thriving business in New Babylon, and had established a name for himself. His mother, a celebrated and famous Japanese Bishamon, had met his father on distant travels where they fell in love and eventually married. The happy couple adopted two children - one from each culture, as was the custom - and decided to name their son "Salomón" after his paternal grandfather, and his sister "Himari" after his maternal grandmother. Both children, however, were taught freely from both cultures, including the languages from each as well as their mother's specialized martial art of Aikido. As a young boy, Salomón's father was often gone on important trips, and so Salomón was raised in large part by his mother. He was far more serious, studious, and reserved than most Amaki. Ironically, his human sister had a more rebellious streak and lived up to the "decadent party animal" reputation of much of his race. However, she excelled at swordplay and was accepted to the House of the Sword in New Babylon. Salomón took after his mother, and at least some of his characteristics were attributed to his study of Aikido and the meditative techniques his mother taught him. He expressed an interest in magic, which his father was delighted by, and young Salomón was introduced to The House of Magic. The young Amaki excelled at his preliminary studies - especially in magical theory and at grasping and applying the concepts of higher magic. The House of Magic had several visitors from uncommon disciplines - some masters of Atlantean Stone Magic - which he enjoyed very much - and even a few Nazcan Line Makers and a Diabolist, which he also found fascinating. The practitioners of these unusual disciplines said he was welcome to come and learn their respective arts someday, if he were so inclined. The House of Magic conferred with his parents, saying he had great potential as a practitioner of magic, and was talented in many areas, with the inherent potential to excel in any ones he chose to pursue. His mother, who had been a staunch foe of evil in Japan, was endowed at one point with a special staff by the famous Millenium Tree there. She told Salomón that someday, it would be his, if he followed in her footsteps. One day, he approached his parents and said he was ready to learn more about the world and magic, and he wanted to visit North America and the Magic Zone he had heard about. With some hesitation, they agreed to send him on one condition: his father placed a sealed letter in his hand. He informed Salomón that he had helped some important people once in the Magic Zone area, and that Salomón was to give the letter ONLY to the "Lords of Magic" - enigmatic, powerful beings in charge of a city called "Dweomer" in the Magic Zone where he was headed, and that said letter would ensure his future there. The trick, he said, was finding the place - it was notoriously difficult to locate. Armed with their blessing, his wits, some weapons, and the letter, Salomón spent months searching the Magic Zone with his hired traveling companions. This "Dweomer" was nowhere to be found and both his funds and morale were running low. He was about to give up when they finally stumbled across the fabled city right in the middle of pristine wilderness. After a somewhat hostile reception and some trepidation, he was able to confer with the Lords of Magic to give them the letter. The mysterious Lords of Magic informed Salomón that his parents had been of some assistance in years past, and they would gladly help their kin. The Three accepted Salomón as a student of the elite High Magus group, and his formal magical training began. After his initial formal training, the Lords of Magic told Salomón that his magical foundation was secure and he could leave on a Sojourn, to "find his place" in the world. There is a place called MercTown, they said, where adventure awaited, and that was suggested as a good starting point. Salomón sought permission (and was granted) to journey to this Merctown and see what he could make of any opportunity for advancing his own abilities and finding his place in the world. He stepped into the portal created for him, felt the familiar surge of mystic energy, and set out to begin a new chapter of his life. Last edited by Salomón on Thu Sep 27, 2018 7:48 pm, edited 5 times in total. Tolerance, fairness, justice, balance, compassion, kindness, self-sacrifice and altruism, the building of both self and others, hard work, persistence, and patience. Note that while Salomón holds these values dear, he is INtolerant of INtolerance, and though he prefers resolution of any conflicts through discussion and persuasion, he will not hesitate to defend himself or others from aggression. Generally, however, his disposition is one of peace, and he is slow to anger, but like all High Magi, he is quite sensitive to the suffering of others, and vulnerable to the sorrow that comes from seeing those others suffer needlessly. Salomón is , typically but with occasional deviations, relatively subdued for an Amaki, both out of personal preference, and of a lack of desire to draw undue attention to himself. He generally wears blues, greens, blacks and - when feeling ambitious - reds, but anything he wears is not generally what one might consider "flashy". That said, on occasion he has been known to decorate or paint himself, as is the Amaki tradition - most often at formal events, parties, or on holidays. As a newly-minted Sojourner graduate of Dweomer's prestigious and elite Brotherhood of Creation, Salomón is technically unemployed (fortunately, he does have some modest savings, so things are not yet "dire"). However, he is confident that, with his extensive skill set and magical prowess, he can find employment and make himself of use. Salomón's upbringing (Amaki father and Japanese human mother) provided him with diverse cultural perspectives, and as a result, he is open to learning about other cultures. He is especially interested in trying new foods, and considering learning how to cook at some point. Regarding food, Salomón prefers savory and flavorful food - often spicy. He is an omnivore. He enjoys and is drawn to culture, the arts, and learning - of any kind. The rule of law is important, but not as important as said law being just and fair to and for all. Resources are means to an end, that end being security and a measure of freedom - and Salomón believes that both are simultaneously attainable, with the right measure of balance. Speaking of balance, he tries to generally avoid extremes. All sentients should be viewed with respect and consideration without regard to physical appearance or ability, until they impede others without justification (justification including, but not limited to, self-defense or the defense of others). Use of force should generally be restrained, and causing the lasting suffering of others is rarely, if ever, justified. We should protect innocents who cannot protect themselves without thought of reward. While not a pacifist, strictly speaking, Salomón tries to use physical violence as a last resort. That being said, he is a formidable combatant and will not hesitate to use violence if the situation calls for it - usually to the point of disabling/stopping the threat, and rarely to the point of utter destruction (remember - he is a healer and creator, not a fighter, by nature). While not a "tree-hugger", Salomón does care about responsible stewardship of the environment and prefers to avoid unnecessary negative impacts on it. Magic and technology are comfortable and familiar for Salomón. Being away from both of these at the same time would put him ill at ease. Other things outside his comfort zone would include such things as slavery (in all cases), cruelty to others (especially innocents), and wanton destruction or wastefulness. This is actually a tie between Salomón's mother, who taught him many of his lasting values, and Leizak D'zir, High Lord Creator of Dweomer, who kindled and developed his passions for creation, learning and building, and taught him most of his magical and many of his mundane skills personally. Salomón feels like he needs to be a part of something constructive, wherein he can contribute meaningfully - whether that role is healing, building, creating or even defending, is not as important as adding value, helping others, and being part of something bigger than himself. Builder, creator, healer, defender, and freer of others. Note: Building, to Salomón's view, does not necessarily mean physical construction (though that is a common part of it). It could mean building others up, building character, building bodies, building skills, etc. The overall theme is one of adding value for himself and others, but this can take many forms. Salomón is a champion of good, a defender of innocents and the weak, freer of the enslaved, and ally to the oppressed. He will not hesitate to call out injustice wherever he sees it, and speaks truth to power. While not violent by nature, he will not hesitate to defend himself and others if attacked (though rarely will he initiate violence, nor will he foolishly take on impossible odds). He is patient and often takes the "long view". He also has long term, strategic plans, and likes to think things through carefully whenever possible. As a side note, Salomón is very much modeled after me personally, in terms of values, ethics, desires, etc. I try to balance the desire for my character(s) gaining power with the knowledge of how this can impact game and group dynamics. I'm sensitive to stepping on other player toes and try to avoid redundancy where not needed. I'm also very big on communication (as is important for a "strategic", long-game focused character) and love teamwork and inter-character dialogue and interaction. Feel free to PM me with any questions, concerns, or ideas you have. I'm on Hangouts frequently. Umm, I don't. Really - I don't. But, if he must, I would like Salomón to die doing what he believes in, perhaps defending the innocent or weak, or making a stand for what he believes is right. Hopefully his death will have meaning and be heroic and memorable in a lasting, impactful manner. I'd be willing to sacrifice this to get it: Does it matter? "The GM would never give it to me", remember? But if it were possible, I"d give up some things of significance. For example, ALL of my psionic powers (at least for #1 or #2), and as a Major psionic, that's a considerable sacrifice. This would be great, the GM might give me this as a major reward #1: a Ring of Elder (Coalition Wars 1, page 47). I'm a High Magus. I specialize in very expensive spells. A Ring of Elder effectively cuts spell costs in half. Any questions? I'd be willing to sacrifice this to get it: Blood, sweat and tears Seriously, though, it really depends on the reward. Another continent I haven't been to yet, or a different dimension! I think High Magi should be able to learn and cast lower level spells, it's just not their focus. Maybe they would have the ability to "sacrifice" 2 level 7+ spell "slots" available to learn new spells at a new level for each 1 spell under level 7, or something like that. Build a community, complete with fortifications, power generation capabilities, hospital/healing, etc. Last edited by Salomón on Thu Feb 28, 2019 2:49 pm, edited 11 times in total. Range: Near self or up to 30 feet (9.1m) away. Duration: 12 melees (3 minutes) per level of experience. up to thirty feet (9.1m) ahead. The maximum speed at which the globe can travel is equal to a speed attribute of 12 . Range: Self, one person and the clothes he's wearing up to 10 feet (3m) away, or two people by touch. most surface parasites, such as ticks and fleas. Duration: Two minutes (8 melee rounds) per level of experience. P.P.E. : Varies; two P.P.E. per five pounds (2.3 kg). pick up, move, carry or hold one or more small objects. manipulating an object, the item hangs suspended 3-5 feet (0.9 to 1.5 m) above the ground, usually within arm's reach. The P.P.E. cost varies with the combined weight of the objects, two P.P.E. points per five pounds (2.3kg). Inanimate objects get no save against this spell; this means that even tiny, lightweight robots get no save, although they may struggle or attack. becomes 100 Ibs (45 kg) or more. Maximum height: Six feet ( 1.8m). Maximum number of objects : Two per level of experience. many as six items weighing up to 30 Ibs (13.5 kg). The magic force has the equivalent P.S. of 8, + 1 per additional level of the spell caster (9 at 2nd level, 10 at 3rd, etc.). to tum it on or off. The spell caster must concentrate to direct the object and each action by the object counts as one of the character' s melee actions. caster, uses up one of his attacks per melee, and is easy to dodge or parry (the magic force is -2 to strike, and no other combat bonuses apply). energy will not drop anything, because it is designed to hold and carry. A few seconds before the spell duration elapses, the objects are gently lowered to a tabletop or the floor. Range: Self or other by touch. Duration: One minute (4 melee rounds) per level of the spell caster. lightning, and cold do half damage to it. P.P.E. : 10 for soft wood for burning, 20 for hard wood for building. spell has allowed Dweomer City (and others) to use wood in buildings and various tools/weapons/items without chopping down lots of trees. Thus, the city sits in the middle of pristine wilderness, making it even harder to detect. Conjurer and Earth Warlock can cast this spell at half the P.P.E. Duration: Instant (counts only as one attack; fire lasts until it is put out). (beginning after the first 2 melees). Duration: Two minutes per level of the spell caster. or be given to someone else. It functions as a normal shield to parry. Duration: 20 melees per level of the spell caster. metals it is seen not to be gold. Those who save recognize it as worthless fool's gold. Range: Self or one other up to 30 feet (9 m) away. Saving Throw: To save vs Horror Factor only. worms. This magical illusion provides a Horror Factor of 9 + I for every two levels of the spell caster (10 at 2nd, 11 at 4th, 12 at 6th, etc.). Horror Factor at the beginning of every melee round. A failed roll means the usual Horror Factor penalties. perfectly again, with no sign of malfunction, damage or energy loss. Can not affect M.D.C. environmental armor, power armor, robots or military vehicles. Range: Touch or 3 feet (0.9m) away. Saving Throw: Standard, if the person resists the magic. muscles. It will not help against illness, internal damage to organs or nerves, broken bones or poisons/drugs. The heal wound magic restores 3D6 S.D.C. and 1D6 Hit Points. P.P.E. : Ten plus the cost of structural repairs. worn fabric, repair pottery and china, fix cracks and chips in glass, and even remove stains from fabrics. (restore all S.D.C.) will make it look like new. stubborn or otherwise impossible to remove stain. changed into M.D.C. materials or improved in any other way, other than restoring it to like new condition. Range: 10 feet (3m), line of sight, or touch (of a container). and Water Warlocks can create twice this amount of water for half the P.P.E. (7). Range: Touch or 10 feet (3m) away. P.P.E. : Twelve plus full P.P.E. amount of the original spell. can be extended/energized this way. Range: 100 feet (3m) per level of experience; line of sight or two machines by touch. Saving Throw: Not applicable; affects machines. can be delivered by the enchanted machine until the magic ends. Range: Around self, or up to 20 feet (3 m) away. Duration : One hour per level of experience. those attacking from outside can not get a clear shot and are -3 to strike, but they can see shapes and shadows inside to shoot at. Range: Five miles (8 km) per level of experience; touch. Duration: Requires two full melees (30 seconds). Duration: 3 minutes (12 melees) per level of experience. languages is not provided by this magic. See the Eyes of Thoth. made, the negation spell has no effect; the barrier remains. Magic wall spells, ward spells, etc. Duration: One melee round (15 seconds). point, momentarily stop some specific mechanical function, usually of a larger device. It does not damage the machine in any way. (adds 15 seconds before it detonates; hand grenades are simple devices). seconds) or freeze the retractable stock or folding tripod, etc. just won't respond for 15 seconds. any system encased or connected to living flesh. Likewise, bionic and cybernetic bio-systems are not affected by this magic, nor are nano-machines. can not be forced to stop moving, or be made completely unable to attack. The spell inhibits performance by knocking out one specific system. Range: Self or one character by touch. Duration: Special - delayed reaction. The spell is not activated until the enchanted and marked outer armor is destroyed. Then it activates and lasts one minute per level of the spell caster. Special Requirement: Magic symbol of Life and Strength. character survive Mega-Damage attacks after losing his M.D. body armor! creatures such as dragons and demons or automatons. Duration: Three minutes per level of the spell caster. fumes, etc., and provides the wearer with an independent oxygen supply. placed on giant Automatons, power armor or robots. 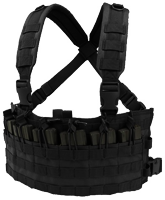 Limitation: Cumbersome; the wearer is - 15% to prowl, climb, swim or perform other physical skills. Range: Touch or 60 feet (18.3m). save vs ritual magic. A failed save means the negation attempt did not work. Try again if sufficient P.P.E. is available. psychic abilities or Techno-Wizard or Bio-Wizard/rune devices. Range: One weapon by touch. Duration: Two melee rounds (30 seconds) per level of the spell caster. or a mace that does 2D6 S.D.C. now does 2D6 M.D., and so on. In the alternative, this spell can be used to increase the damage capability of Mega-Damage melee weapons (Vibro-Blades, etc.) or M.D. does 2D6 now does 4D4 M.D., etc. Note: This magic does not work on long-range weapons like the bow and arrow, projectile weapons or energy guns. Casting this spell on the same weapon repeatedly has no cumulative effect. pounds (22 kg) of stone per level of experience. Range: Can be cast up to 10 feet (3 m) away. P.P.E. : Sixty-Eight; half that number for Earth Warlocks with this spell. 5% more metal (per level of experience) created from the initial scrap. In addition, there is no need for a smelting facility, machines or workmen, other than those needed to haul and store the finished product. as much at half the P.P.E. cost). manufacturers, operators, builders, etc., to make conventional repairs (soldering, welding, casting, etc.). being; it must be scrap or raw ore. Range: Can be cast up to 100 feet (30.5m) away. Duration: One melee (15 seconds) round per level of experience. to attack, but this magical defense is excellent in confined areas and against ground troops. of the spell caster' s experience. The wine is of fair to average quality, with the quality increasing by 5% per each level of the sorcerer's experience. was severed). The ritual takes five minutes. Duration: One melee round per level of the spell caster. or Techno-Wizard weapons nor on Automatons, power armor, robots or vehicles. beings, etc.). Super-healing restores 4D6 M.D. to Mega-Damage creatures. Not applicable to S.D.C/Hit Point creatures. Duration: Effects vary with type. closed doors up to 100 feet (30m) away. terror. Effects are identical to the second level fear invocation. lasts for 6D6 minutes. Effects are identical to the fifth level spell. Range: Inside a magic circle. Time to cast: 24 hours. P.P.E. Cost: 20 from the High Magus to initiate the ritual and 20 P.P.E. spent by the recipient Controller. as if it were their own body. See the sections on Automatons and the Controller O.C.C. for details. Last edited by Salomón on Mon Apr 15, 2019 12:29 pm, edited 4 times in total. Range: 100 foot (30.5m) radius per level of the spell caster. magic reduced to half strength. runes and magic weapons) is rendered harmless as long as it is under the Anti-Magic Cloud. The magic returns when the cloud is canceled. area are negated the instant they enter the Anti-Magic Cloud. P.P.E. cannot be used in the area of effect. Duration: One melee round ( 15 seconds) per level of experience. spell caster) in a number of ways. Ultimately, the Astral Hole makes the mage almost impossible to pin down. he can not see clearly. Hole for more than a few seconds, however, as it is a passageway, not a pocket dimension. world is the equivalent of five minutes in the Astral Plane. Range: 50 feet (15.2m). The portal/hole appears to be about four feet (1.2m) in diameter, per level of the spell caster. caster has visual contact, the mage can move the Bottomless Pit beneath his target' s feet again; such an action counts as one of the sorcerer's melee attacks. off, except by Dimensional Portal, Dimensional Teleportation (a power common to most greater demons, dragons and gods) or a similar spell. are still lost and trapped in the void. the landscape do not fall into the pit. sense anything in the "real" world). all that it needs to know. A mummy can not speak (or read) but grunts, growls and howls. actually a living supernatural creature. Negation simply does not work and Remove Curse is not applicable. at bay. The magic is present in both the dead body and the linen wrappings. • Three attacks per melee, 2D6 S.D.C. damage by hand/punch. • +5 S.D.C. to damage. • +1 to parry, no dodge or initiative bonus. • Most psychic powers and magic have no effect. • S.D.C. of Linen Wrappings: 50 (bullets do effectively no damage). not capable of shooting guns or using equipment. Range: Identical to spell placed on scroll. Duration: Permanent; the spell placed on the scroll has standard duration. Saving Throw: Standard magic save; 12 or higher. P.P.E. : One Hundred plus the P.P.E. needed to cast the magic spell placed on the scroll. P.P.E. is that the mage must be able to read and write. If he can not read, he can not create a scroll. matter how literate and educated he may be. This is why scroll conversion is so difficult. Note: The power of the scroll spell can be controlled by its creator and can range from level one potency to the current level of its creator. if created a s part of a ritual. Duration: Six hours per level of the spell caster. Random Neurosis Table in the insanity section of the core rule book. The insanity is temporary and fades away in time (i.e. when the duration has elapsed). Range: 50 feet/15.2 m (line of sight) or by touch. Duration: 1d4 days per level of the spell caster. victim they seem very real. Sleep is almost impossible, and the victim of this curse lives in a constant state of fear, agitation and uncertainty. Worse, it is impossible for him to discern "real" monsters from those he imagines to be monsters. 01-30% : Lucked out! No permanent insanity. 31-40% : Phobia: Monstrous looking demons. 41-50% : Phobia of the spell caster who gave him the curse. 51-60%: Obsession: Monsters and demons; hates 'em and likes to see them suffer and be destroyed. 71-80%: Affective Disorder: Disgusted by anything with tentacles or slime, and will go to any lengths to avoid them. you know. Monsters hiding in human form. I know! I've seen it! I am one!! " with the curse, then exiled. Range: The spell can be cast up to 1,000 feet (305 m) away. Radius of Affect: 50 feet (15.2m) per level of experience. mage is surrounded by an aura of hazy light that expands in all directions. Each enemy (known allies are unaffected) must save vs magic. per melee round, lose initiative, and perform skills at -20% (due to hesitation and uncertainty). Range: 100 feet (30.5 m). Duration: Two days per level of experience, or until used up. to give their mortal minions and or champions additional power to accomplish great feats. concentrated and protected energy source. The Energy Sphere cannot be moved or stored, cannot receive P.P.E. after creation, moves with the mage or recipient over one shoulder, and only the creator can gift it to another. Only one Energy Sphere can be maintained by a mage regardless of who possesses it. Range: Up to 500 feet (152m) away. Radius of Affect: To a 100 foot (30.5m) radius, enough to engulf 4-6 average houses and their backyards. will look unscathed, as if nothing happened, except for the burnt and injured people, animals and property. Note: Available to Earth Warlocks as an 8th level spell at half the P.P.E. (80). Range: Self or other up to 60 feet (18.3m) away. P.P.E. : One Hundred Thirty; spending an additional Two Hundred P.P.E. will add one hour to the duration! upon other sources of P.P.E. to cast magic (i.e. ley lines, blood sacrifices, etc.). dice : 01-50, the fake is good, 51-00, the fake is evil. If approached by the "real" character, the Id Alter Ego treats him with disdain and hostility, like twin brothers who despise each other. in activity that is detrimental to the "real" character and or the things he or she loves and believes in. magical construct designed to cause trouble and create confusion. Range: Can be cast up to 500 (152m) away and affects 3,000 x 3,000foot (914x914 m) area per level of the spell caster; area affect. Saving Throw: -1 to save against a simple illusion, -4 to save vs an elaborate one (only -3 if an alien looking terrain). Forest, except that virtually any type of terrain and landscape can be created. distance and when placed in a real fo rest to change its appearance (ambient animal sounds and smells often seem to be part of the illusion). the false image to be captured on film - however, it will not register on most heat sensors. forest is not real, but those who fail to save versus magic will continue to see it clearly and have trouble telling what is real and what is an illusion. the illusion, will seemingly appear and disappear through solid trees and vegetation to those who fail to save. Range: Touch or 20 feet (6.1m). Duration: Instant; imprisonment is indefinite. being willingly released by the mage), the Entity is certain to seek to punish, hurt or kill the mage who captured it. (wood, bone, etc.). See Entities in the Monsters and Animals sourcebook for specific types and powers. loose on its own, especially if it has been enslaved, will seek revenge. Storm at least 1D4x10 minutes before it arrives). P.P.E. : 180 (half for Ley Line Walkers and Shifters). Duration: Special; 24 hours minimum. Saving Throw: -2 to save against the initial mental attack, standard every 24 hours thereafter. by a butterfly, console a frightened child, giggle, and so on). place that frightened him or was the scene of an atrocity or happy event, and so on. Range: Touch or 10 feet (3 m). save vs magic and to remove that curse. Those bonuses are: +5 to save when cast as a spell and +10 to save as a ritual. Duration: One melee round per level of experience (at most). in an instant, at will, but may need to roll initiative to see whether or not he closed it before "something(s)" nasty come(s) through (G.M. discretion). Note that due to the nature of this spell, those passing through may only go one way. Note: Also known a s the "Ambush Rift." Range: Must be performed at a nexus point. open to disgorge those waiting inside at the end of that period. P.P.E. Cost: 160 (half for Shifters and Temporal Raiders). a small Rift to a limbo realm of white mist and clouds. Once all have entered, the portal closes and those who entered seem to disappear. along any ley line connected to the nexus. to those waiting in limbo. is designated at the moment of its creation and can not be changed or moved. Range: Up to 100 miles (160km) per level of the spell caster. Duration: Roughly 1D4+4 seconds/half a melee round. and remains at the nexus location where the Rift was opened. Requires a ley line nexus and can only teleport to another ley line nexus point within the range of the spell caster. P.P.E. Cost: 200 (half for Shifters and Temporal Raiders/Wizards). the arrival point (nexus point). away. This spell can not be used to teleport to other worlds, only on the planet where the ley lines are located (in this case, Rifts Earth). Range: Self or two others by touch; line of sight. Duration: One minute per level of the spell caster. Duration: Five hours per level of experience. Saving Throw: Standard for animals. A superior summoning pentacle, the invocation empowers the practitioner of magic to summon and control any type of animal. Tiny animals like frogs and mice: 40 per level of experience. Medium-sized animals like dogs and cats (up to 30Ibs/13.6kg): Eight per level of experience. Large animals like horses: Six per level of experience. New York city. Only one per level of experience. successful save vs magic. Familiars are not influenced or summoned by this pentagram. Range: Up to 10 miles (16km) away per level of experience. Duration: One hour per level of experience. obscured by fog. The fog can be made to cover a one mile (1.6km) area per each experience level of the spell caster. Bonuses or penalties? The fog adds a +20% to prowl skills. opponents are +2 to dodge each other's attacks. Note: The summoner can cancel the fog at any time or let it last out its full duration. It can be summoned day or night, any time of the year. Last edited by Salomón on Fri Mar 01, 2019 7:48 am, edited 5 times in total. Range: Holder/wearer of the amulet. Duration: Exists as long as the medallion is not destroyed. P.P.E. : Two Hundred Ninety or more. to save versus magic and psychic attacks. P.P.E. Cost: 290.
all magically induced insanities. P.P.E. Cost: 320.
vs Horror Factor and +2 to save vs possession. P.P.E. Cost: 300.
the invisible. P.P.E. Cost: 500.
an entity(s) is in the area. Range : 60 feet (18.3m). P.P.E. Cost: 310.
against all undead including mummies, zombies and vampires. P.P.E. Range: Immediate area around the mage, affecting a one mile (1.6 km) area per level of experience. spell, the mage can slow a downpour to a light rain, reduce wind speed by half, reduce waves by half and lighten the dark, stormy skies. used to make it, and the level of power in the resulting automaton. subtle action and skills requiring, if not cleverness, at least dexterity. features and even a varnished or painted surface. no steel or iron tools). The cost of a simple, crude construction (including the heart) is 2D4x10+80 gold, a larger, more detailed one is 1D4x100+80 gold, and a highly detailed, beautiful or realistic carving costs 1D6x 100+160 gold. The eyes must be high quality (ideally flawlessly) cut emeralds of 5 carats, costing approximately 1000+ gold each. Lastly, the automaton's creator must recite the ritual, pay the cost in P.P.E., and place a drop of his own blood on the forehead of his wooden construct. The creation of a Magic Manikin permanently drains six S.D.C. from the Wizard. Additionally, the spell caster may have accidentally and permanently transferred a piece of his own I.Q. and M.E. into the artificial construct. This is determined in game play by rolling (in front of the G.M.) 4D6 once for I.Q. and once for M.E. If the resulting total of each attribute check is greater than the spell caster's own attribute, he loses one point from that attribute permanently, and the Magic Manikin gains a bonus of 1D4 in that attribute, making it even more formidable. The end result of this magic is an animated manikin that can think and behave like a living servant. This automaton is automatically and completely loyal to its creator (the practitioner of magic who brought it to life with his P.P.E. and blood) and follows the commands of its creator without hesitation. Like Golems, Manikins obey only their creators, and follow the last direction given, or default to general orders, if left idle for too long. charms, sleeps, bio-manipulation, illusions, paralysis, and any other magic designed to work on a living, flesh and blood body. complex instructions and perform complex tasks. Attributes of Note: I.Q. 10, M.E. 12, M.A. 6, P.S. 19, P.P. 20, P.B. 6 (minimum, may vary, see below), Spd 14.
magical automaton designed with evil intentions. helpers, and guards, who go about their duties with methodical efficiency. Size: 3-7 feet (0.9 to 2.1 m) tall. Horror Factor: 9 as a rule, 12 if made to look monstrous; none if made to be beautiful. burned, unless its heart is destroyed. Damage: 1D6 (+4 P.S. damage bonus) or by weapon. drugs, disease, insanity, fear-based magic, illusions and most psionic attacks, as well as Horror Factor. Communications, Domestic, Medical, Science, and Technical categories, each with a +50% bonus. program the wooden automatons with the skills they wish them to know. Endurance (never fatigues), has no need to eat, drink, breathe or sleep, and has no emotions, desires, or personality. The zombie is more intelligent than the mummy and can speak, read simple signs and sentences, perform simple tasks and even drive a car. who created it and individuals whom its creator may designate as authorities. mummy; the trick is knowing what to use. weapon. Guns can be used, but at -4 to strike. • +2 to parry and dodge. No initiative bonus. • Most psychic and magic powers have no effect, only energy. anything other than protective armor. Duration: 20 minutes per level of the spell caster (double if 800 P.P.E. is expended). 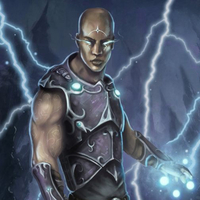 is Ensorcelled is impervious to mind control, possession (all), illusion and is +4 to save vs the magic of other sorcerers (all types of magic). or oppose him for the entire melee round. Note: Can not be used on Automatons, Iron Juggernauts, robots or vehicles. Range: Can be cast up to 100 feet (30.5m) away per level of experience. Area Affect: Covers a radius of 300 feet (91.4m) per level of experience. Duration: 10 minutes per level of the spell caster. Saving Throw: - 1; everybody in the area of affect must roll to save vs magic, including animals. This spell makes the air seem muggy, hot, heavy and stifling. Characters will find it difficult to catch a breath and breathing is labored. described above, but still feel weighed down and listless. large groups, especially as a delaying tactic. wood door with 170 S.D.C. has 170 Mega-Damage. Likewise, each S.D.C. conversion point counts as one P.P.E. point, so a 170 S.D.C. an M.D.C. structure, the item retains the look, feel, buoyancy and weight of wood. Note: Just because a wooden club is now an M.D.C.
object, it does not inflict Mega-Damage (although it does inflict an extra 1d6 damage); it is just very strong; tougher than steel. and so forth. It is impossible to transform complex S.D.C. machinery and devices, or any other substance, including bone, with this spell. Range: Self; or others through ritual magic. Duration: 20 minutes per level of experience. Saving Throw: None; standard if an unwilling subject. up to 100 feet high (30.5 ) and is semitransparent. Range: 10 foot (3m) radius per level of experience. caster and is difficult to destroy. The Null Sphere is a protection magic that blocks out or negates all harmful forces within its sphere of influence. of magic and energy from outside the sphere, directed at those inside the sphere, are dispelled the moment they hit the sphere; no damage. control), so Bio-Manipulation, Empathic Transmission, Telekinesis, etc., can be used to attack those inside. Range: 1 00 feet (30.5 m); line of sight or touch. Damage: 6D6 M.D. or Hit Points, as is appropriate. Duration: Doubt and temptation for a minimum of 3D4 weeks; physical damage is instant. Saving Throw: -6 to save. A successful save means no physical damage and only minor doubt and temptation, reevaluation. faith or ethics, good or evil as is appropriate). hesitate at murder and treachery, and find himself open to acts of goodness and kindness. god or king and taking up a new one, etc.) is left entirely to the player of that character. change appropriately (this aspect may be suggested, determined and or enforced by the G.M. as is appropriate; G.M.s, be fair and objective). Likewise, evil or selfish characters will not become saints overnight. such benevolence or goodness may be nothing more than a moment of weakness of confusion. Or not. It is up to the player. Duration: 24 hours per level of experience. Entity can be used for any purpose: manual labor, protection, assault, etc. elapses. One reason to return it before that happens. away per level of experience. per level of experience can be rained upon. A heavy storm will reduce visibility and slow travel. Range: One mile (1.6km) per level of experience. Duration: Five minutes per level of the spell caster. Saving Throw: Standard per the effects of the storm. Limitation: Can only be created on a ley line. see the rather lengthy description for details). vulnerable while his mind and senses are one with the Ley Line Storm. physically moved or protected by others, but can't do so of his own volition. To regain control of his body, the Ley Line Storm must be stopped and the spell cancelled. around the portal, triple if part of a triangular ley line grid. Duration: One melee round (15 seconds) per level of the spell caster. P.P.E. Cost: 300 (half for Shifters). Defense, provided the necessary ley lines and nexus points are available. prepare for combat, make plans or to study in absolute isolation and seclusion. hours real time) per level of experience. Range: The wall can be cast up to 200 feet (61m) away. Damage: 4D6 M.D. or entanglement/capture. the attack. A failed roll means 1d4 tentacles strike and either hit or ensnare the character. Roll percentile: 01-50 strikes, inflicting 4d6 M.D. per each tentacle, or 51-00 entangles and holds the character in a vise-like grip. round! Note that momentarily severing a tentacle does not count as an M.D.C. loss to the wall. rate of three feet (0.9m) per melee round and one third its M.D.C. Note: As with most spells, the mage can adjust the size of the wall to fit his specific needs, so it can be made smaller than his maximum capability to fit the wall into smaller spaces (i.e. in a doorway, the length of a room, etc. ).